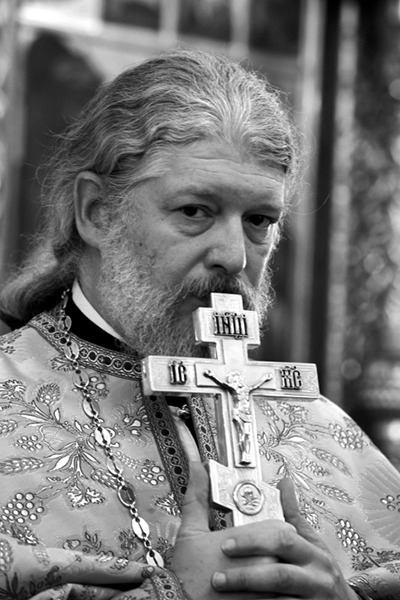 Archpriest Alexii Uminsky, Rector of the Holy Trinity church in Khokhly, talks about the meaning of the words, we crucify Christ by our sins, and discusses how to spend the Holy Week properly and how to prepare for Pascha. It is impossible to understand, to emotionally depict, or imagine the meaning of the words, by our sins we crucify Christ. And we probably ought not to attempt it. 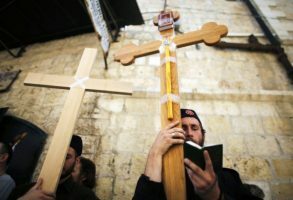 However, it is impossible for a person who believes in Christ not to feel that way towards the end of Lent, during Holy Week. For, during Lent we are going up to Jerusalem. And the further along we get, the more serious it becomes, the more insistent does the Church become in reminding us about it in its Sunday Gospel readings. 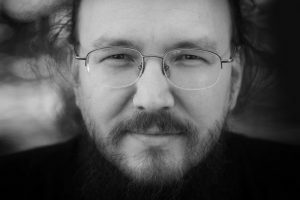 Archpriest Alexii Uminsky. Photo: Yury Rost/Novaya gazeta. On Palm Sunday, we become like them, the people of two thousand years ago, who with branches of palm trees exclaimed “Hosanna!” Christ enters Jerusalem, and we enter the Holy Week, mystically, but in a very real way. For Great Lent allows us to experience spiritual life as a genuine reality. For a person, it becomes an encounter with a reality that can neither be felt, nor described. An instant, and eternity is before us. Suddenly we are near, and Holy Week is speeding past us. Possibly, only the poet Pasternak could have described the reality, with which it happens in a person’s life, how people actually experience it within themselves. An instant, and the Crucifix is before me, I’m holding a candle, and the Gospel of the Passions is being read. And the voice of the priest, the sound of the word of God suddenly becomes an absolute, amazing reality, the present. Here is Christ. And I am here. There goes the sound of the rooster crowing. That’s when you understand, so this is why everything is happening. This is why Christ is on the cross. This is why the world is so dreadful. This is why so many things go wrong. The rooster crows – and I understand, this is what I am really like. And that is it. There is nothing else that needs to be explained. We have to try to attend the services of the Holy Week as often as possible. 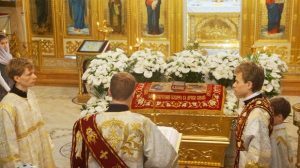 Say what you will, not that many people attend these services, nor listen attentively to the Triodes. Or, when unable to attend church, get yourself a Lenten Triodion, read the Triodes yourself, read the Stichera of the Aposticha. 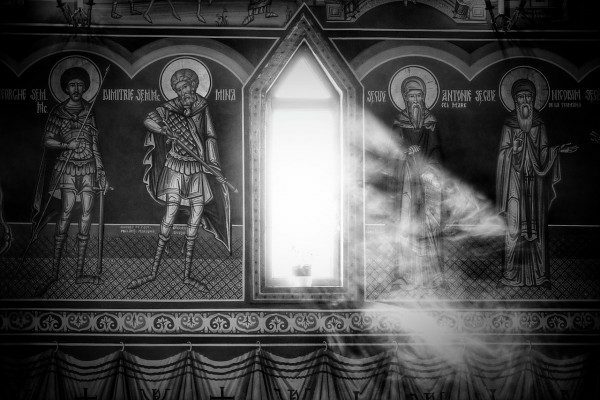 Immerse yourself into the poetry of the Lenten Triodion. It is some of the greatest Christian poetry, the greatest example of Christian art that has reached us. It is so precise, so intense, despite the fact that it is a translation from the Greek, despite the fact that it is written in Church Slavonic, which is a language that, maybe, not everyone understands, but which sounds beautiful in the chants of the Holy week. And when you come to a service, it lifts you up, it penetrates you to the very core of your being like fresh air, cleanses you through the sound, the smell, the tone of Holy Week. You don’t do anything, you don’t prepare in any way, you simply line up. And the Church itself lines up in that moment and with it you tune into the sound of Holy Week, just like a musical instrument. And it happens all by itself. You seem to disappear. What is the most wonderful thing that can happen to people during Holy Week? They can forget about themselves, disappear into these services. An instant, and it seems you’re gone, there is nothing but Holy Week, you no longer even think about yourself. It would be wonderful if that could happen. At some point, it happens to everyone during Holy Week, people disappear before God, forget themselves completely. Now that would be good.